Pad Printing Polymer Plate Making. 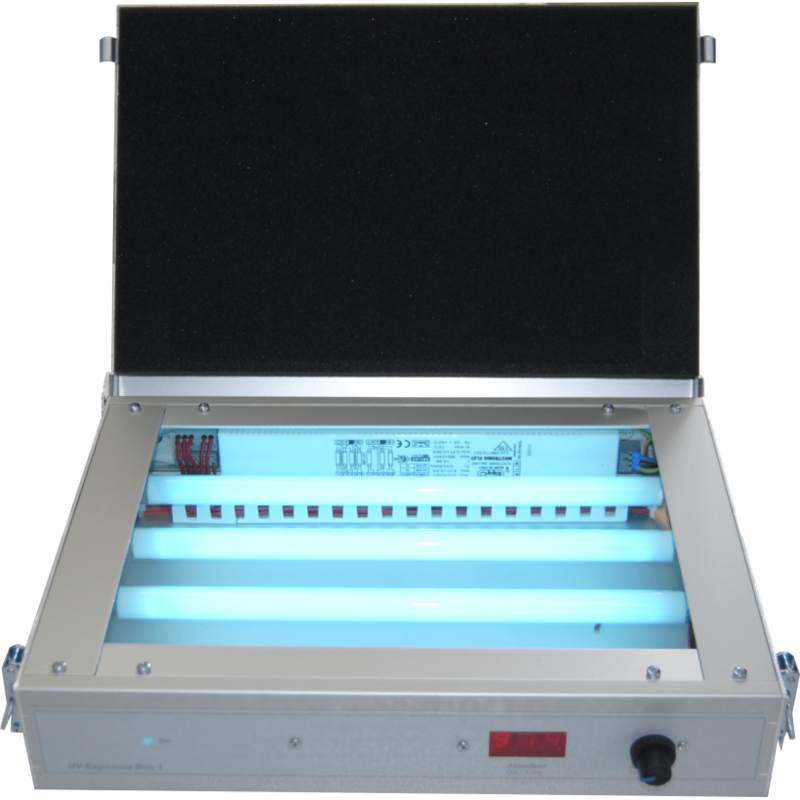 Built in Europe following specific quality standards, this product contains four UV lamps: ideal for pad printing. Its perfect lock determines a pressure calculated in kilos similar to a vacuum pressure, which ensures excellent photopolymer engraving. It has a digital timer. Dimensions: 317 x 225 x 90 mm. 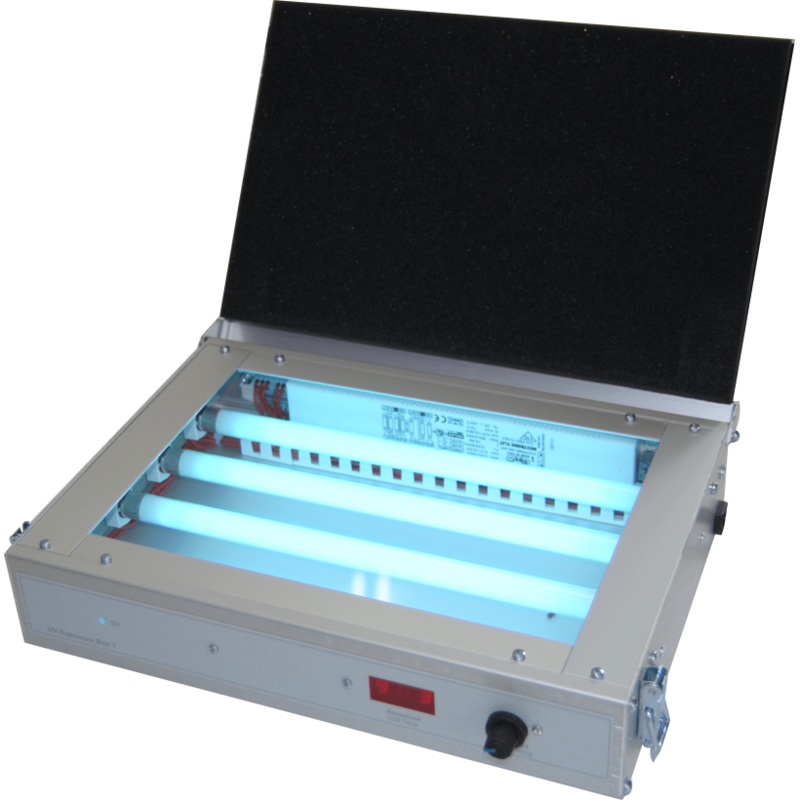 Do you have any questions about Pad Printing Uv Exposure Unit?